Happy Christmas Eve & Christmas Weekend! Today we are hosting both families here so we're up early because there's lots to do: setting the table, making snack trays (cheese & crackers and veggies & dip), making the meal itself (marinating the lamb, blanching veggies, roasting veggies). 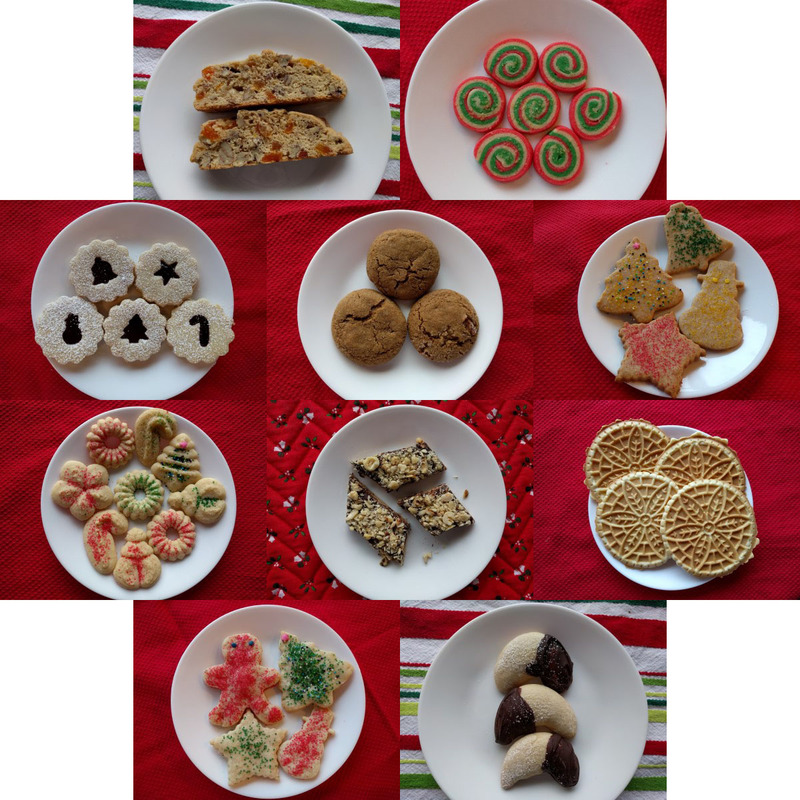 My favorites are the Linzers & Crescents - of course two very labor intensive, time consuming cookies! I also really like the Triple Ginger, Pizzelles, and Cinnamon Spice Cut Outs. I think those 5 will always be on the baking list. Your biscuits look delicious. Merry Christmas to you and your family.